The American Lady (Vanessa virginiensis) is a common butterfly found in the southern United States, Mexico, and Central America. 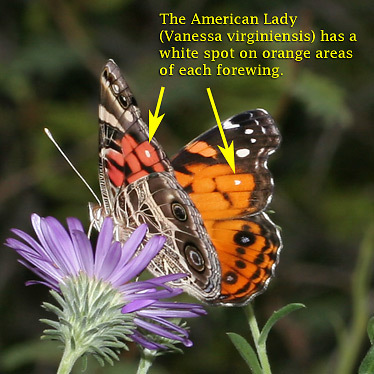 The American Lady butterfly is very similar to the West Coast Lady (Vanessa annabella) and the Painted Lady (Vanessa cardui), but it can be identified by the presence of a small white spot on an orange area of the forewing. 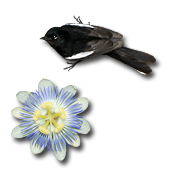 This white spot is visible on both sides of the forewings. The American Lady also has two, distinctive eye-spots on its ventral hindwings. 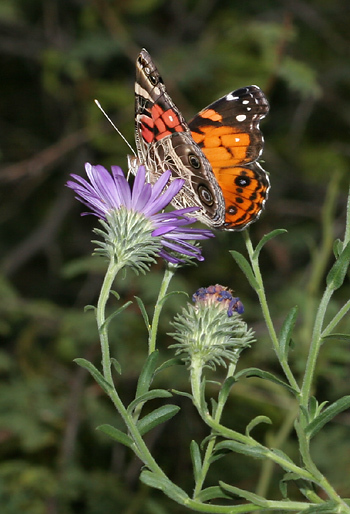 The caterpillars of the American Lady feed on plants in the Aster Family (Asteraceae), and the adults will feed on the nectar of a variety of flowers, but they are especially fond of aster flowers.